Studies have found many ways in which owning a pet can benefit your emotional and physical health. Playing catch in the park with your dog can improve your health -- and so can gently petting your pet when you feel stressed. Getting a furry, scaly or feathered friend can prompt lifestyle changes for the owner. While many associate getting a pet with waking up earlier to let the cat outside or extra trips to the store for dog food, studies show that pets can cause a tangible, positive impact on owners’ choices. Own a dog? It should come as no surprise that walking your pooch has proven health benefits, and a People Pets Exercising Together study supports this. 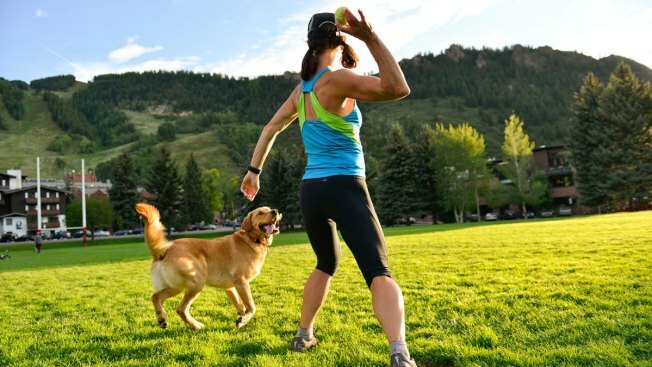 The study, conducted by the Wellness Institute at Chicago’s Northwestern Memorial Hospital, concluded that people who exercised with their pets were more likely to stick their workout routines than people who exercised alone. Pets, the study said, should be considered companions that are part of one’s social support network when losing weight, just as people are. Walking the dog also has additional health benefits besides weight loss. Regular physical activity strengthens your bones and can help fend off osteoporosis. Being outside exposes you to the sun, which is a good source of vitamin D (just don’t forget to protect your skin from the sun). If you’re a cat person, consider stretching alongside your cat, which is good for alleviating arthritis pain, according to veterinarian Amy Flowers. One study published by the journal Tobacco Control even found that more than a quarter of pet-owning smokers tried to quit smoking once they learned about the negative health effects of secondhand smoke on their animals. Secondhand smoke exposure is associated with certain cancers in cats and dogs; allergies in dogs; and eye, skin and respiratory diseases in birds. Pets are friends who help us feel better. Anyone with a good friend knows that just being there for someone can make all the difference when we’re going through a difficult time. This is just as true with our animal friends as with our human ones. Kevin, a teen with autism and cerebral palsy, knew he found a forever friend when he met Yukon, an eight month old great dane, at a kennel. Kevin's mother, Tabatha Branch, said the feeling was mutual. "It was really amazing when we got there to the rescue shelter when they brought Yukon back out he immediately just walked up to Kevin and wrapped his arms around and laid his little head on him, it was so precious. It was just like instant," Branch told NBC affiliate WBBH. Branch said she believes Yukon would know if her son was going to have a seizure and alert them, adding that the family is happy Kevin has found such a loyal best friend. If you’re in a really bad mood, consider calmly petting your cat or dog. As Prevention magazine reported, the simple act of petting or other simple interaction with your pet causes your brain to release the calming hormone oxytocin, as the stress hormone cortisol goes down. One study found that dogs’ behavior toward humans was similarly influenced by the oxytocin system, so when you and your dog spend some quality time together, you’re actually engaging in a mutually beneficial, and healthy, social interaction. Another study focusing on cat owners found that cat ownership lowered people’s risk of cardiovascular diseases. The research, conducted by the Zeenat Qureshi Stroke Research Center at the University of Minnesota, showed that people who owned or had owned a cat at one point were at lower risk for a fatal heart attack or stroke. The study suggested cat ownership as a “novel strategy” for reducing these health risks. If you’re trying to think of a gift to give grandma or grandpa, consider a dog: A study in the Medical Journal of Australia found that senior citizens who regularly walked or interacted with dogs boosted the parasympathetic nervous system, which helps calm and rest the body. The researchers found that even just patting and talking to a dog has this effect. Animals have more uses to assist humans than ever before. Although not pets in the traditional sense, service animals have been a boon to people with disabilities and other special needs for decades. Guide dogs for the blind are not uncommon, but dogs can also help those who are deaf, those with diabetes, those prone to seizures and even children with autism. What’s more, comfort animals provide that special companionship all of our pets do for us every day, but for people who need it the most. They console mourners at funeral homes and children traumatized by the death of a classmate by suicide. Oscar is a therapy cat famously known for his unique ability to predict when hospital patients are about to die. Oscar has a perfect streak in correctly selecting terminally ill patients with mere hours to live, then curling up next to them to comfort them in their final moments on Earth, NBC News reported. One theory is that Oscar can detect the release of ketones, biochemicals given off by dying cells. It’s not just cats and dogs getting in on the act, though. Therapy animals run the gamut from birds to horses. There is even at least one therapy tortoise at a Florida nursing home that the residents call a friend. 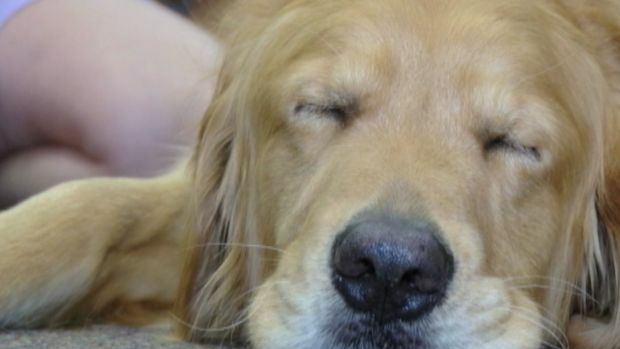 Animal experts say pets often process loss in a manner similar to humans. In a recent newsletter published by the Funeral Consumer Alliance of Maine, researcher Jessica Pierce says a growing body of research into 'animal thanatology' suggests common pets such as dogs and cats seem to share with humans many behavioral reactions to death, such as mourning and rituals of farewell, NBC affiliate WCSH reports. 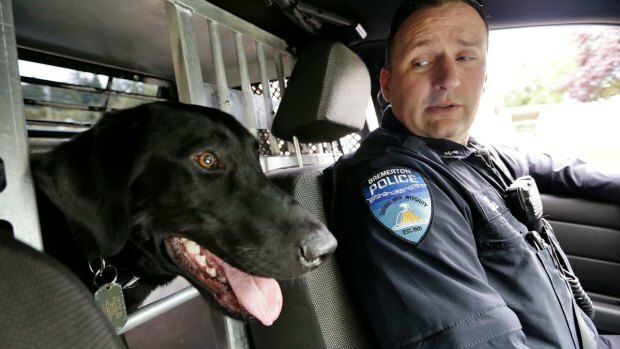 "When one of them dies and another one is left behind they often, people will report, the one left behind won't eat as much or will just seem depressed, or will walk around the house looking for their friend," Pierce says.